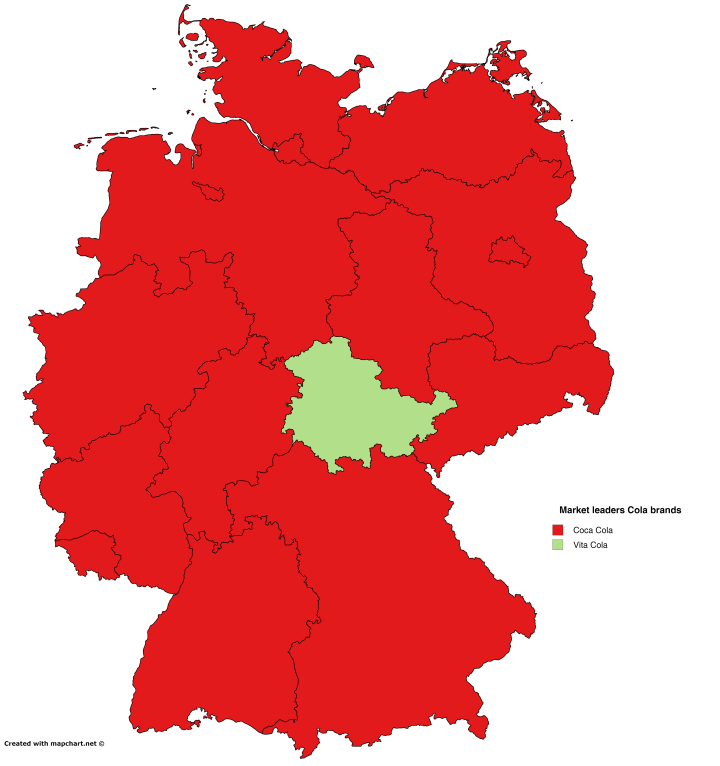 The map above shows the most popular brand of cola soft drink in each German Länder (State). Unsurprisingly, Coca Cola is the number one brand across the whole of Germany, but interestingly not in every single state. When you think about potatoes, where do you imagine they’re grown? Popular locations might include Ireland, Idaho or maybe Poland. But would you also think of India, China and North Korea as being major producers? 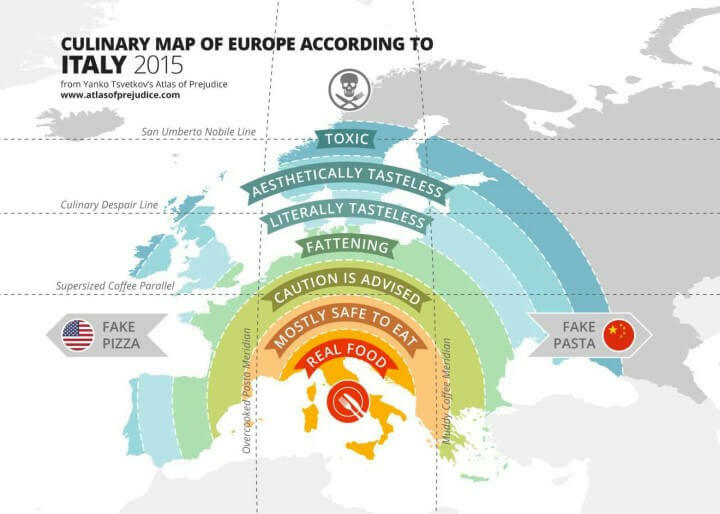 Yanko Tsvetkov, the man behind the Culinary Horrors of Europe Map, has created another food related map titled: The Culinary Map of Europe According to Italians. Chris Durso and his 8 year-old son have created a punny series maps collectively titled The Foodnited States of America. 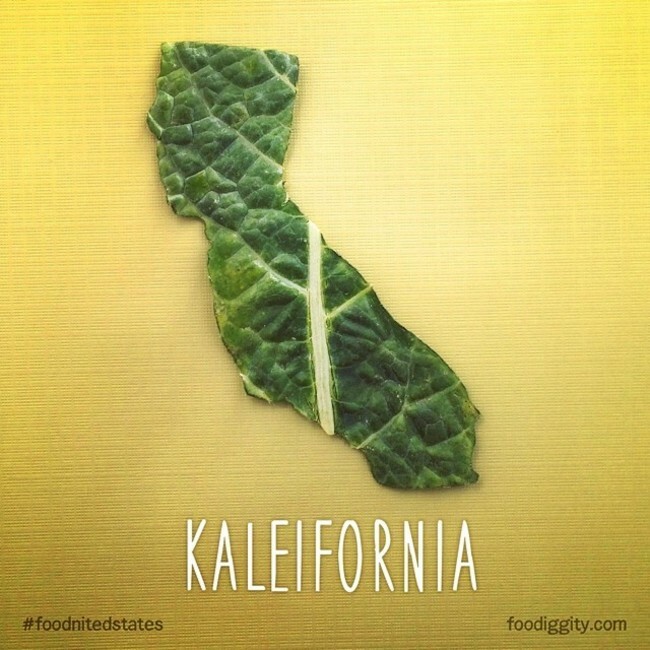 Each map takes one food item that can be worked into the name of the state. So far they’ve created 25 maps with new ones being released regularly via the Foodiggity.com instagram account. While not all the states are created from a food item you’d associate with them, they’re all quite clever. While European food has a very positive international reputation, it’s not all steak frites and pasta. 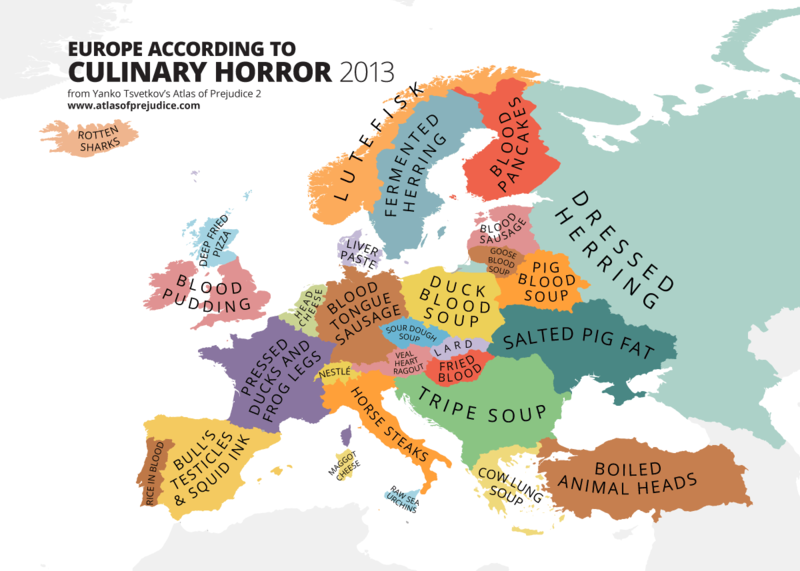 As the map above shows, the continent also has its fair share of disgusting dishes and culinary horrors.